This past weekend the first official and uncensored trailer of “Straight Outta Compton” was released on YouTube! 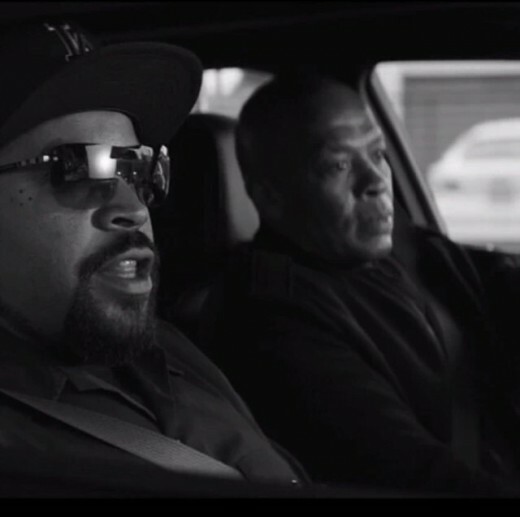 The movie follows the rise of controversial rap group N.W.A..
During the 57th Grammy’s this past Sunday, a commercial aired of rap legends Dr. Dre and Ice Cube driving through Compton! As the duo rode around the streets and greeted fans, they spoke about how it was the right time to release “Straight Outta Compton,” biopic about the controversial rap group N.W.A. Shortly after, YouTube released the first official and uncensored trailer of the highly anticipated biopic! There were cameo appearances from rappers Kendrick Lamar and The Game. The members are played by Jason Mitchell (Eazy-E), Corey Hawkins (Dr. Dre), and Ice Cube’s own son O’Shea Jackson Jr. (Ice Cube). The film hits theaters in August!